The conclusion of the 82-game regular season marks the beginning of the real NBA action. The 2019 playoffs is flush with implications; will Kyrie Irving bolt the Celtics if they bounce out early? Will the Nets give D’Angelo Russell a max contract if they overachieve? Will another championship for the Warriors even affect Kevin Durant’s decision to stay? The answers to these big-picture questions all depend on how the first round plays out. These individual matchups have their own narratives coming in which can dictate the outcome of the series, no matter the seeding. There are so many factors that can come in play: individual matchups, a clash of playing styles, or even intangible things (like persistent injury bugs or playoff curses) that always seem to trouble certain teams. I’m a huge fan of the LA Clippers. I love the way they play, the way they’ve been built, and the culture that Doc Rivers and vets like Lou Williams have instilled since the end of the Lob City era. I love them so much, I even gushed about them using about 1,000 words a couple of weeks ago. But with all due respect to these Clippers, this first round series will be nothing more than a bitter sampler plate for their rookies. 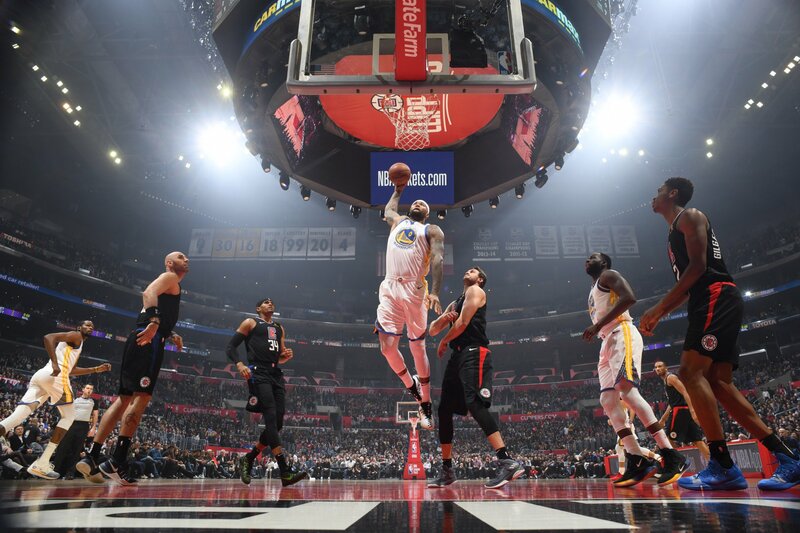 All eyes will be on the Clippers’ interstate rivals from Oakland, and whether they’ll be turning on the switch in Round 1. Golden State cruised through another season, finishing with just 57 wins and the number one seed in the Western Conference. Critics seem to have learned their lesson with the Regular Season version of the Warriors, with most still pitting them as overwhelming favorites entering these playoffs. This is simply because the Warriors have proven time and time again that they mean business once the bright lights of the playoffs are on. Since the 2015 playoffs, the Warriors’ record in the First Round is 16-2. In that same span, they have not lost a single game in the first round when Steph Curry plays. The First Round is when the season starts for these Warriors. This is when we’ll see them at their absolute best, and when we can finally see the beginning of their run for at a three-peat. I thought long and hard about keeping this simple: This could possibly be the most competitive series in the first round, and it also features the biggest contrast in playing styles. The Rockets feature the league’s leading scorer, James Harden, and boast the second best offense in the NBA. On the other hand, the Jazz are fortified by the likely DPOY winner, Rudy Gobert, and finished as the second best defense in the NBA. However, the main takeaway from this series is that the winner gets to challenge the Warriors in the second round. Let me be clear: For as close as a series as the Rockets and Jazz are likely going to play, Houston is the only team in the league that can seriously challenge Golden State in a seven-game series. This series will serve as a barometer for them. The Rockets are the biggest wildcard of the entire NBA. After a putrid start, the Rockets made a complete turnaround of theri season. Since December 11, the Rockets are 42-15, which is the second best record in the entire league. 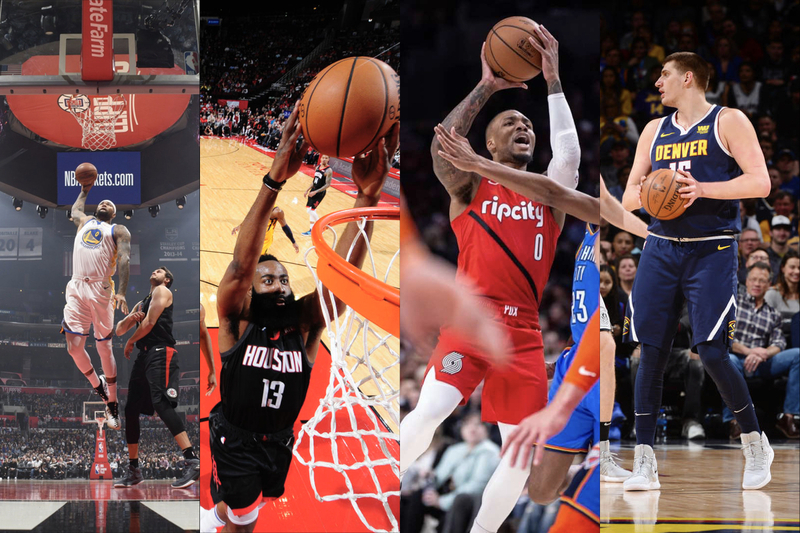 Harden has continued on his league-wide rampage, while Chris Paul, Clint Capela and the rest of the gang seem to be back to proper form. But because of the rough start, and the extreme reliance on Harden during the regular season, the jury is still out on whether the Rockets are the same team that took the Warriors to seven games in last year’s Western Conference finals. 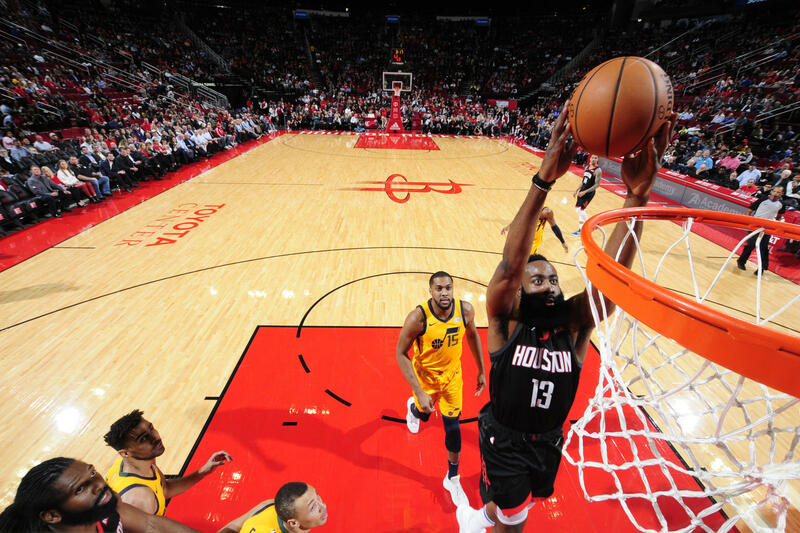 What better way to test that then to pit them against a similarly built Utah Jazz team that the Rockets took care of in five competitive games in last year’s semis. If the Rockets are able to convincingly take this series in 5 or 6 games, then we should be a giddy about their chances against Golden State in a second round match-up. But if the Rockets struggle out of a slugfest, or if the Jazz are able to pull this one out, we should all be expecting the Warriors to trot to a fifth straight NBA Finals appearance. Joaquin Santos: Does the fear of losing trump the will to win? There’s a lot at stake for both teams here. 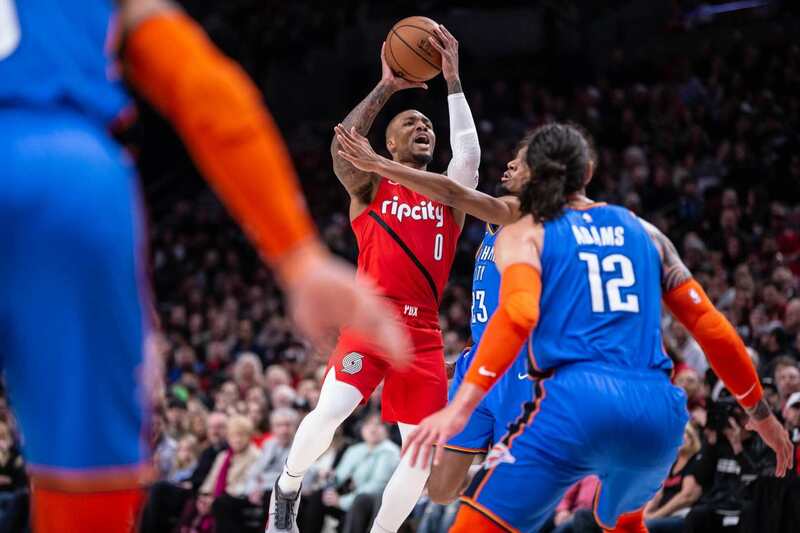 For the Trail Blazers, this could very well be the final test to see if they should blow it up or hang with their spitfire combo of Damian Lillard and C.J. McCollum. As for OKC and especially Paul George, these playoffs have them in search of vindication after re-upping in the summer and essentially placing all faith in Russell Westbrook. Which team faces the music depends heavily on which version of either squad shows up. If the series began midway through the season, the seeding in this matchup could have easily been flipped, but both sides have trended in completely opposite directions since the All-Star break. The Blazers held the second best record and best offense in the league since then despite losing Nurkic to a broken leg. The addition of Enes Kanter inside has helped replace some of that inside presence, while Rodney Hood adds depth to their collection of rangy wings. And, of course, Lillard and McCollum are playing like Lillard and McCollum should. The Thunder made a strong case as possible usurpers to the Warrior’s throne in the first half of the season before their defense cratered from top five to 11th and plummeted them down the standings. They boast one of the most potent 1-2 punches in the league in Westbrook and George and now possess a clear frontcourt advantage over the Blazers in the rugged Steven Adams and a certified Pterodactyl in Jerami Grant. Both teams are extremely dependent on their stars to generate offense on their own and the series could very well bog down into a showdown between either pair. George’s scoring efficiency, which could be hampered by lingering shoulder problems, will be absolutely crucial for the Thunder to keep their head above water, while Lillard and McCollum will have to find a way around the 2nd best pick-and-roll defense in the NBA. 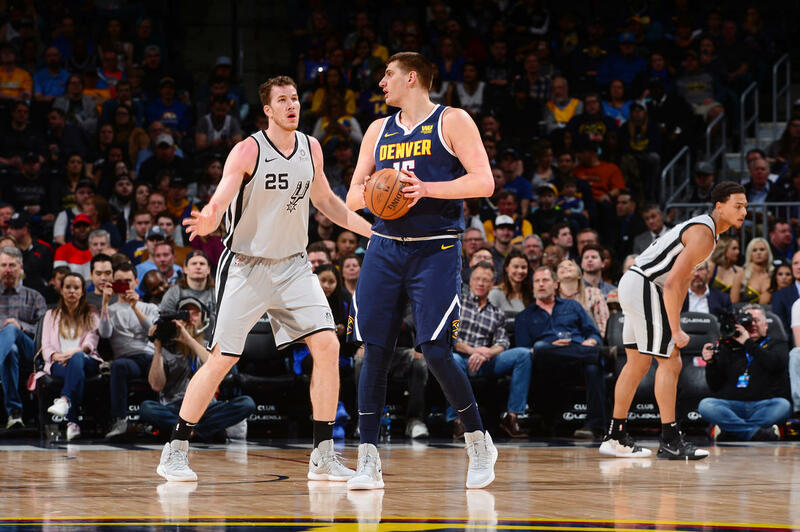 Kirby Jalandoni: Will Inexperience get the best of Nikola Jokic and the young Nuggets? In terms of style-of-play, there’s a pretty wide disparity between the Nuggets and Spurs. One team has a trove of 3-and-D players that coalesce around the best passing big in NBA history, while the other team’s top two scorers have attempted a combined 1,125 mid range jumpers for the season –– higher than the total midrange attempts of 14 different teams, per NBA Stats. Another big difference: the Spurs have made the playoffs for 22 straight seasons, while this year marks the Nuggets’ first time in the playoffs since 2013. It would be easy to think that the grizzled Spurs can outplay the Nuggets amidst the grind of postseason action. Young teams, especially in their first taste of playoff action, struggle to adapt to the slowed-down game that relies heavily on half-court offense. But unlike the 2018 Sixers or 2013 Rockets, the Nuggets have the tools to immediately succeed in the playoffs. They actually played slower than the Spurs in the regular season. Jokic serves as the hub of their potent half-court attack, picking out cutters and cycling through handoffs with an assist rate that mirrors Chris Paul. The Nuggets can also dump it down to Jokic –– one of the best post players in the league –– when the game bogs down. Injuries and Jokic’s emergence has made Paul Millsap somewhat of a forgotten man, but make no mistake: Millsap is still really good and can feast on the block in crunch time. His veteran guile and playoff experience will be a key factor. Writing off the Spurs is never a good idea, but this Spurs team is not made from the same mold as the Tim Duncan-era squads. They rank 20th in defense, and their two stars, DeMar Derozan and Lamarcus Aldridge, have had their fair share of playoff struggles in the past. Any Pop-coached team will pose a challenge, but the sheer collective talent of this Nuggets team offsets any lack experience. NBA Fans Real Talk: Is Kawhi the game changer the Raptors need?